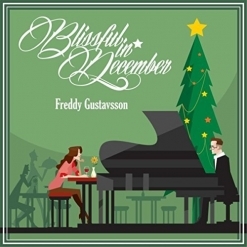 On the Lovely Side of the Town is the second album from Swedish pianist/composer Freddy Gustavsson following his 2017 debut, Blissful in December. This second album is a 17-minute EP of six original piano-based pieces that were inspired by a summer visit to Falun in Dalecarlia, an historical region in central Sweden with deep forests, blue lakes, deep mines and an active music community. The pieces are performed on a digital piano with light keyboard instrumentation and all six tracks are warm and upbeat. My favorite is the title track, a jaunty piece of musical sunshine with a slightly French flavor. The piano stays in the lead with accordion and flute soaring heavenward with a great big grin! “Thinking of Old Granny” actually refers to an old copper mine in the Falun area with that nickname. This one is a little bit darker than the others and is mostly solo piano - very beautiful and on the haunting side. 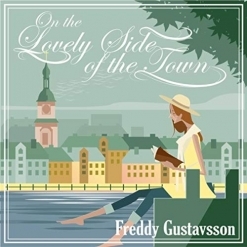 On the Lovely Side of the Town is a lovely second album and is available from www.FreddyGustavsson.se, Amazon, iTunes, and CD Baby.